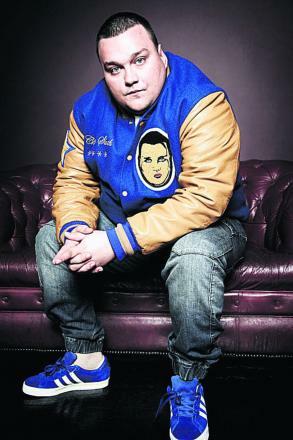 Charlie Sloth is a rapper, producer, actor, DJ and TV presenter born on 20th of August 1987 in North London, England. He is best known as a popular English hip-hopper and a DJ on BBC Radio 1 and BBC Radio 1Xtra, on which he hosts hip-hop shows. Have you ever wondered how rich Charlie Sloth is? According to sources, it has been estimated that Charlie Sloth’s overall net worth is $3 million. Charlie has accumulated his fortune by successfully publishing four mixtapes and one album, gradually building a name for himself in the rap/hip-hop industry. Charlie grew up in Camden Town, finding himself in a “London ghetto” which certainly had an influence on his future interest in this genre of music. When he was 10 he listened to a “Straight Outta Compton” cassette which was his first and most important insight to Hip Hop culture. During this period of his life, he was chubby and unpopular, so his peers named him “Sloth” – a tag which he has kept until today – and uses it as his artistic name. He began rapping by mimicking his favourite rap artists and their songs, in this way gaining confidence he was lacking. However, Charlie Sloth isn’t a typical rapper as he chooses not to glamorize rap music’s common association with gangs and crime. In 2004, Charlie released his first mixtape by the name “The Big Boot”, and two years later his second one followed. This time it was called “Secret Society”(2006), and after its release he started gaining more recognition, which led to him winning the “Most Original Video” award at the Crave Fest Awards in Canada for his “Guided Tour of Camden” music video; his net worth began rising. In 2008, Sloth was named “Best Rap/Hip-Hop/R&B Unsigned Artist” at the same awards ceremony in Canada. He released two more notable mixtapes – “Hard Being Good”(2008) and “The Black Book”(2010). Charlie also began making a name for himself as a disc jockey and a radio host. He is a DJ on BBC Radio 1, on which he hosts a Hip Hop show on Saturday evenings and a presenter on BBC Radio 1Xtra, hosting the weekday drive-time show; these contribute steadily to his net worth. Apart from this, he is known for his “Fire in the Booth” show in which various MCs come into the studio and perform freestyle on his show. He has proven to be good in this job as he won “Best Radio Show” award at the Urban Music Awards in 2012 and was nominated for “Best Entertainment Programme” and “Music Personality of the Year” a year later. Sloth is releases his weekly Podcast called “SlothPod” every Friday. Other than this, he is often a contributor to Radio 1’s other shows, as a guest. Charlie is also seen on TV screens, as he presented Channel 4’s House Party series and many BBC Three shows. All these shows contribute to his net worth. When it comes to Charlie’s personal life, he prefers to keep it entirely private. However, he isn’t married and has no children. He is popularly called the “fattest” DJ in the UK. Is Charlie Sloth in the I’m A Celebrity 2018 line-up? Who is DJ Charlie Sloth? What is his real age and net worth and why did he leave Radio 1 and 1Xtra?